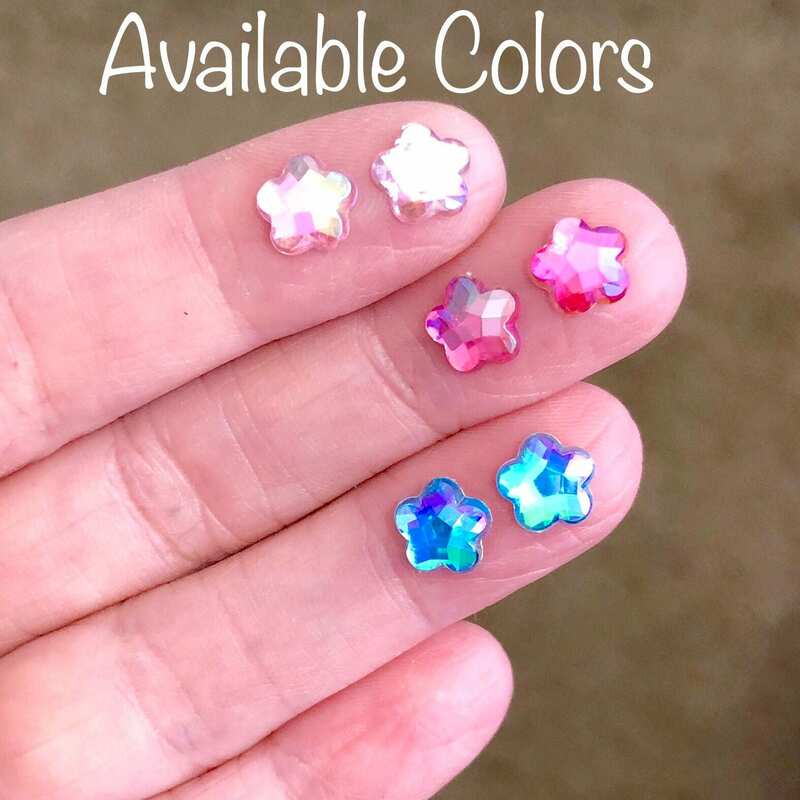 I cannot decide if these pretty little sparkling pink resin cabochons are stars or five petal daisies - I think they can go both ways. 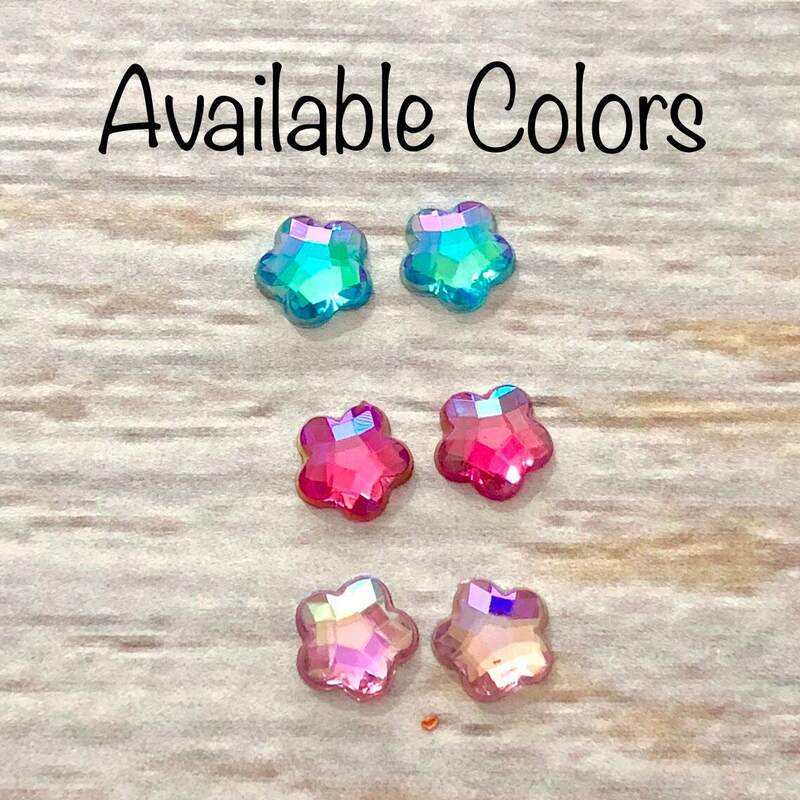 These are super iridescent and shimmery - the color changes depending on how the light hits them due to all the faceting. 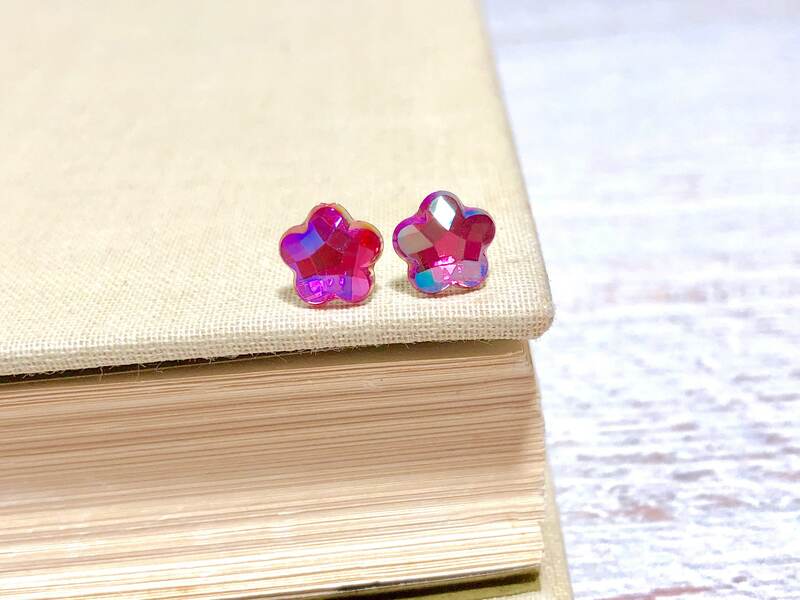 I have finished these with surgical steel posts. 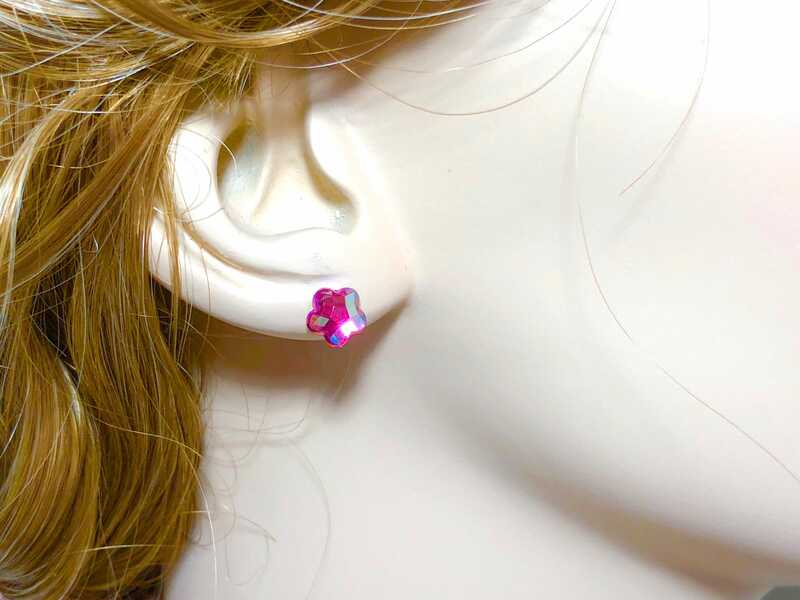 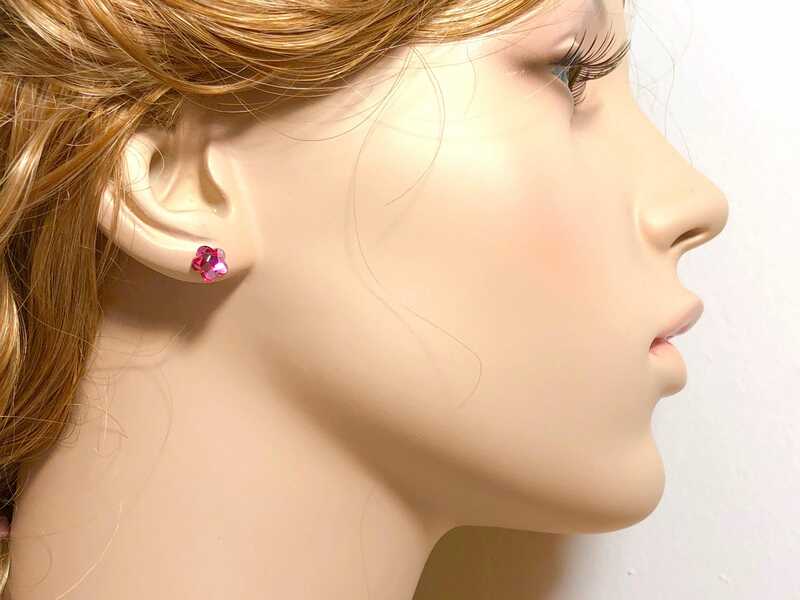 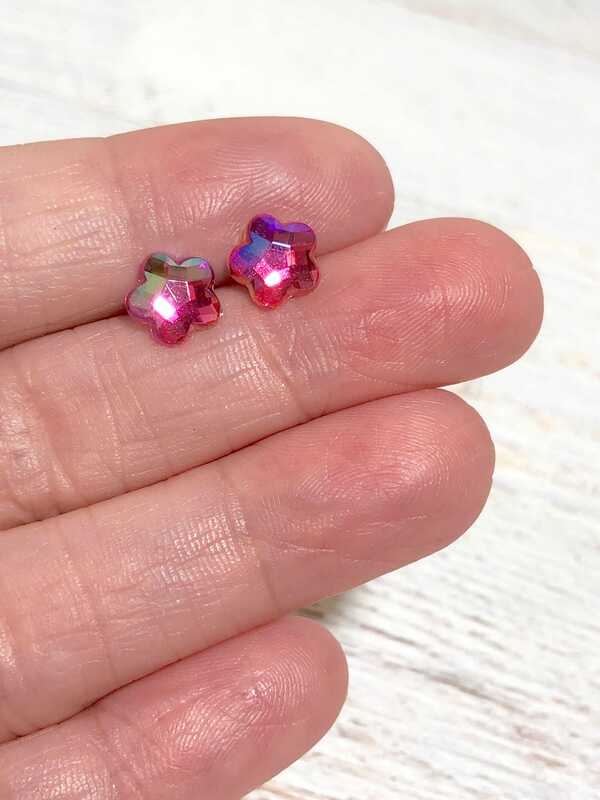 These little earrings measure just over 1/4 inches. 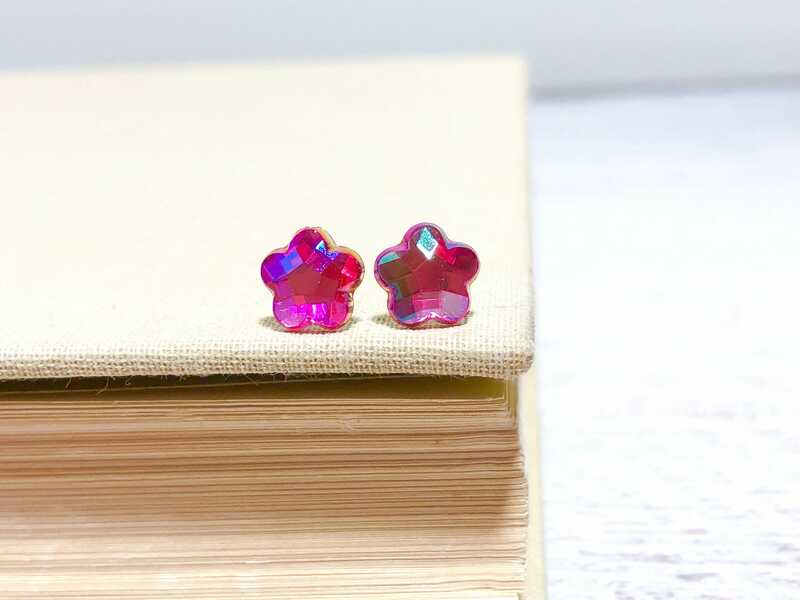 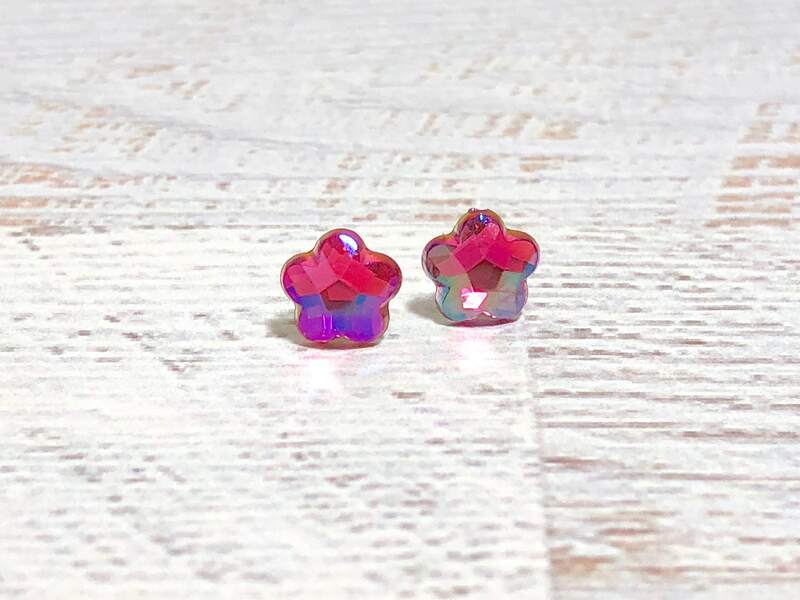 Please note: All stud earrings are MADE TO ORDER so please allow up to 72 hours for me to make your earrings prior to shipping them.